A bustling marketplace within the school, in which one can easily buy and sell goods of his or her choice in a hassle-free and safe manner – such is what RenXchange, the Raffles Entrepreneurs’ Network (REN)’s flagship business venture, aspires to become. This new project certainly seems to be something that has great potential to enhance students’ lives within the school, and it goes without saying that quite a few of us have become considerably excited by it over the past few weeks. In the run-up to RenXchange’s upcoming launch on Wednesday, Raffles Press has decided to feature the organising committee behind the whole business – after all, just as the invisible hand silently grinds the gears of the free market mechanism, so too do these students toil away behind the scenes to make RenXchange a quality experience for all. Its self-explanatory name aside, REN’s exact goals and functions continue to remain slightly puzzling to some. As the committee explains, it is actually a club where like-minded budding entrepreneurs learn about business and entrepreneurship from each other and the entrepreneurs that they invite on a regular basis. “Ultimately, we want to produce change-makers who will make an impact in the world,” says the organising team. True to that vision, REN’s current crop of members has fearlessly invested much time and effort into developing RenXchange in the hope that they can meet some of us students’ unfulfilled wants. The main organising committee behind RenXchange. 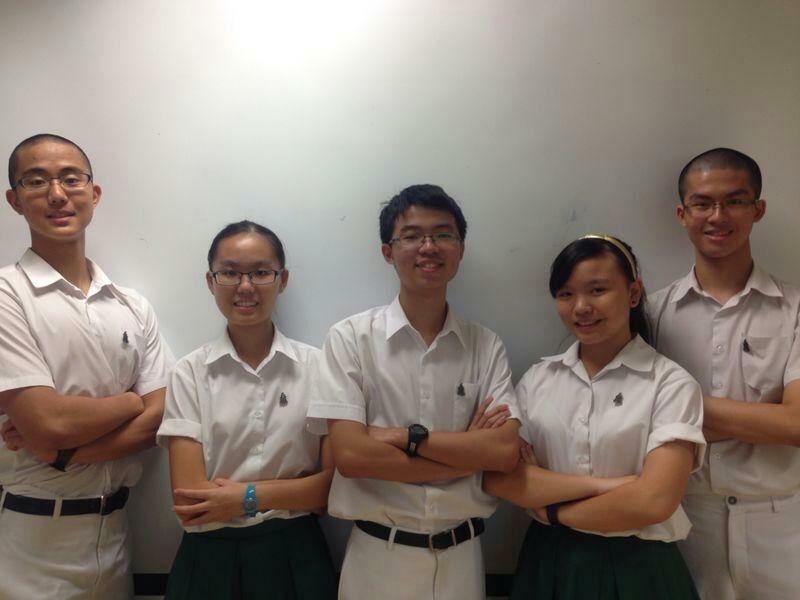 From left to right: Chun Soon Kon (Advisor), Low Tian Ling (Auditor), Ernest Low (Accountant), Kathleen Chow (Operations Manager), Zhang Yuchen (Project Manager). The idea for such a service stemmed from the club’s desire for an avenue that would enable both them and subsequent batches to gain some real experience in running a business, since solely having theoretical knowledge is clearly inadequate. Their market research was illuminating – numerous students indicated their wish for a school-based platform for them to buy and sell the personal items that they no longer use or want. In fact, as the committee claims, “66% of our respondents said that they have items that they would like to sell, and a whopping 90% of them said that they will buy second-hand items in reasonable condition…(this) shows that there is indeed a market for RenXchange and there are people who will use it.” On a broader scale, the club also hopes that the business will make the school a more happening, vibrant and unique community. While we will likely find out about how to utilise this service in greater detail on its launch day, the committee briefly outlined the steps a student will need to take in order to buy or sell a product. 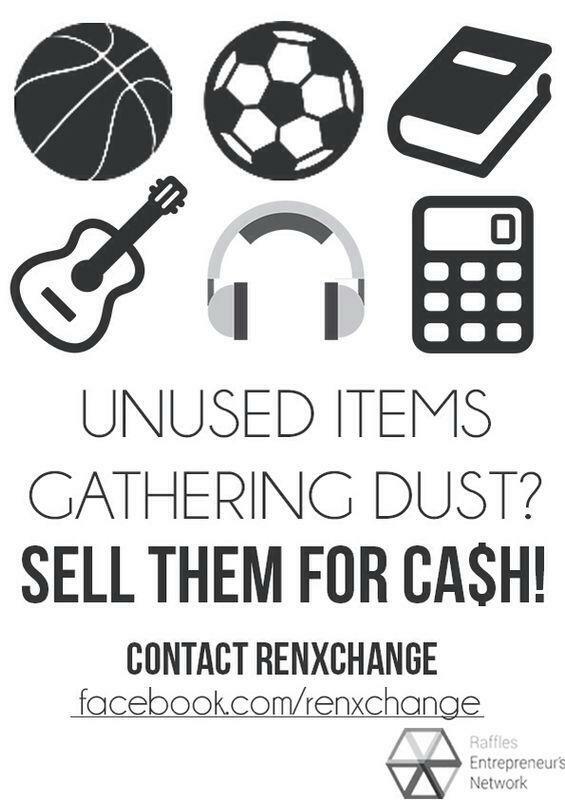 A person who is interested to sell an item of his/hers has to contact the committee through the RenXchange Facebook page, email or directly at their booth. Then, a selling price agreeable to the seller will be fixed, and the approved item is then handed over. Note that this list price is non-negotiable for any buyers. The items will then be put up on sale through a listing on their Facebook page and will be temporarily stored by RenXchange. Students eager to buy a product can appraise the items on display at RenXchange’s booth in the Canteen Walkway, which is manned from 1.30pm to 2.20pm every Wednesday. A service that will likely be welcomed is the ability for buyers to reserve items in advance via the business’s Facebook page. As for revenue, the budding entrepreneurs will take a small percentage cut of the sale price of successfully transacted goods as their commission; the commission decreases as the price of the good increases. Some of the business’s profits will be donated to the school’s 1823 fund. Like any other ambitious project, however, RenXchange’s developmental journey was not bereft of setbacks. The members found balancing the needs for consumer satisfaction and feasibility to be a delicate and problematic task. Designing an effective and convenient inventory and transaction system also proved rather complicated. Fortunately, the large amount of feedback collated by the members has substantially alleviated their difficulties by helping them to refine their ideas. The team would like to declare that they will continue to be receptive to additional feedback, for this will aid them in optimising the service and enable them to provide students with a more customer-friendly experience. If what RenXchange has planned so far sounds exciting enough, the team has even grander plans, though they remain in the pipeline and are contingent on the success of the RIJC-based undertaking. REN is considering the possibility of expanding their business to the RI (Year 1-4) side and, in the longer run, to RGS when its new campus has been built. RenXchange aside, REN also has other activities lined up for the school: namely an inaugural Raffles Business Symposium featuring eminent speakers, as well as an Entre Week. So, do keep your eyes and ears open over the course of the school term! We at Raffles Press have been markedly impressed by the concept of RenXchange and are waiting with bated breath for the service’s release, and we encourage the rest of the school population to try this promising venture out as well.